The Advisory Board is 100% independent from the management, writers, broadcasters, content providers, advertisers, and partners, of the Veterans Today Network. The purpose and role of the Advisory Board is to provide top notch advisement to the directors and management of the Veterans Today Network. The goal is to always make sure that the Veterans Today Network and its assigns are always moving in the right direction and serving the U.S. Veterans community. 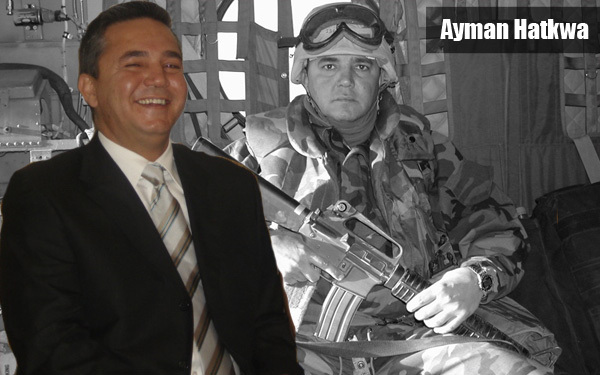 Ayman A. Hatkwa – Retired U.S. Army combat veteran. Served 17 years in two wars; Gulf War (1991-92) and Iraq War (2003-2007). Currently working in International Security Services. Sami Jamil Jadallah – Born in the Palestinian city of El-Bireh (presently under Israeli Military and Settlers Occupation). Immigrated to the US in 62. After graduating from high school in Gary, Indiana was drafted into the US Army (66-68) received the Leadership Award from the US 6th Army NCO Academy in Ft. Lewis, Washington. Five of us brothers were in US military service about the same time (Nabil-Army), (Lutfi-Marines), (Sam-Army) and (Taiseer-Marines) with two nephews presently with US Army. Graduated from Indiana University with BA-72, Master of Public Affairs-74 and Jurist Doctor-77, and in senior year at IU, was elected Chairman of the Indiana Student Association. Sami Jamil Jadallah is an international legal and business consultant and is the founder and director of Palestine Agency and Palestine Documentation Center and founder and owner of several businesses in technology and services. His articles are also featured on JeffersonCorner.com, PalestineNote.comand Ramallah Online.